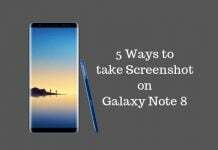 If there has been one device apart from the iPhone 7 which has kept us busy over the past few weeks, then it is undoubtedly Samsung Galaxy Note7. The device had been the main fuel for all the rumour mills for quite sometime now. Be it the Iris Scanner or the dual-edged display or the Dual-pixel camera, the Galaxy Note7 managed to occupy the prime position of tech gossip columns prior to its release. Thankfully, the South Korean tech giant finally launched the Galaxy Note7 at its Galaxy Note Unpacked 2016 event which was simultaneously held in London, New York and Rio de Janeiro thus putting an end to all the wild speculations and rumours. Although, the pricing and availability details haven’t been announced yet, but the device will go on sale starting August 19. The colour options available this time around are Blue Coral, Gold Platinum, Silver Titanium and Black Onyx. The device will be made available with most of the major US carriers like AT&T, Sprint, T-Mobile, and Verizon Wireless and the pre-orders will commence from Wednesday. The device flaunts a metallic body sandwiched between two sheets of Corning Gorilla Glass 5. Needless to say, the device looks gorgeous and feels extremely premium. Apart from this, the Galaxy Note7 became the first Note device to come up with the much-awaited IP68 water and dust resistance. 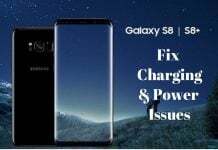 The S-Pen has also been enhanced now and it will reportedly recognise 4,096 different pressure levels and comes with a host of new features. According to Samsung, using the S-Pen will now feel more like writing with a ball pen on paper. The S-Pen can also write notes on the Always On display and can even write underwater. We’ll talk about these in more detail later on. Moving on, the Note7 clads a stunning 5.7-inch QHD (1440×2560 pixels) dual-edge Super AMOLED display with an amazing 518ppi pixel density and Always On display feature. The display of the device features HDR support which allows for more colours and higher contrast. 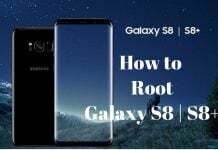 The device is powered by the latest and mightiest processors, be it the Qualcomm Snapdragon 820 or the Exynos 8890 (depending upon region) coupled with 4GB of LPDDR4 RAM. It offers 64GB of inbuilt storage (UFS 2.0) which can be further upgraded by 128GB via a microSD card. In the camera department, the Note7 is very much similar to the Samsung Galaxy S7. It also sports a Dual-Pixel 12MP camera with f/1.7 aperture ,OIS and 4K video recording capability. The Dual-Pixel technology allows for faster focusing and greater pictures in low lighting conditions. There is the same old 5MP camera on the front for selfies and video chat. The device runs on Android 6.0 Marshmallow with huge customisations from Samsung. Android 7.0 Nougat is just around the corner and we hope that the Note7 would be one of the first devices to adorn it. The Galaxy Note7 is even more secure now with the new Samsung Knox security suite. This comes with both IRIS scanning and biometric authentication. The users will be able to hide both apps and files in the Secure Folder now. The Note7 packs a 3,500mAh battery with quick charging support. There is an option for wireless quick charging and interestingly, the device comes with USB Type-C. The device sports a fingerprint sensor embedded on the home button and measures 153.5×73.9×7.9mm, while weighing around 169 grams. Samsung also unveiled its new Gear VR headset called the Gear VR on this event. The Gear VR, however, won’t come bundled with the Note7 unlike the Galaxy S7. 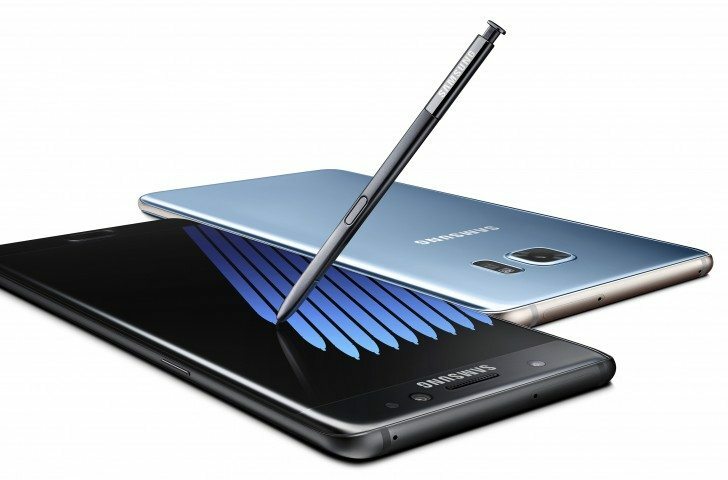 The pre-orders begin tomorrow, so don’t wait anymore to claim your own Samsung Galaxy Note7.